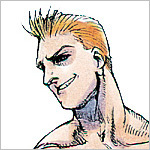 Some say Joe and Cody are the same person because Final Fight was originally planned as a sequal to the original Street Fighter, titled Street Fighter '89. However, this was only fan speculation. Aside from the original game, Joe was never officially featured in any other Street Fighter game.